Updated 2BR Punta Gorda Condo w/Marina Views! Immerse yourself in splendor when you stay at this 2-bedroom + den, 2-bath Punta Gorda condo, which is capable of sleeping 5 guests. 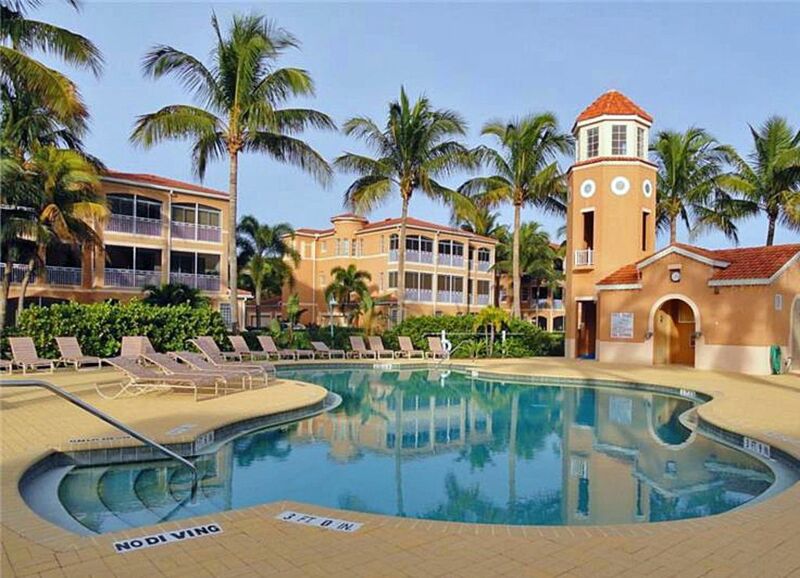 Spectacular beauty surrounds this ground floor Punta Gorda vacation rental condo, which is situated in the secure gated island community of Burnt Store Marina. Enjoy marvelous water views from the screened lanai or take advantage of the unit's numerous modern amenities! This is no ordinary rental unit! All the worries and doubts of everyday life will quickly dissolve once you catch a glimpse of your home away from home and all of the amenities within the surrounding community, including heated pools, exercise facilities, and tennis courts. Look forward to witnessing vivid sunsets from the private screened-in lanai, where you can watch as bright streaks of colors project over the lovely Charlotte Harbor - you may even catch glimpses of dolphins in the shimmering waters! Inside of the condo, you'll find 1,545 square feet of professionally decorated living space that is perfect for a small family or group. Featuring recent extensive upgrades, this Tommy Bahama style interior evokes an elegant feeling that's hard to find in a waterfront property. Pleasant art, handsome floors and comfortable furnishings adorn the well thought out interior. Additionally, you'll have all the amenities you could possibly want, including air conditioning, in-unit laundry machines, wireless internet access, a conveniently attached 2-car garage and even an antique desk in the study, which is thoughtfully appointed with a tropical ceiling fan and elegant French doors - the perfect setting to get some work done. Look forward to preparing savory meals in the fully equipped kitchen, complete with all the brand new appliances you'll need to bring your favorite recipes to life. Use the state-of-the-art sink, stove, and microwave to make a dish that's sure to satisfy your loved ones. After cooking in the kitchen, enjoy the culinary masterpiece indoors or head out to the lanai to dine al fresco while listening to the calming sounds of waterfront living. When you're finally ready to call it a night, retreat to either of the 2 inviting bedrooms to rest up for the next exciting day in Florida! Punta Gorda offers an abundance of fun opportunities that suit all types of interests. From here, you'll be close to world-class sailing, boating, and fishing in the Charlotte Harbour. Bring along your boat and use the 525-slip Marina to have direct access to the magnificent ocean. Florida is known for its golfing, and its prominence is no different in Punta Gorda. Located inside the community is a phenomenal 23-hole golf course. Burnt Store Marina also offers many delectable restaurants, like the waterfront Cass Cay that has an outdoor tiki bar, Linkside Cafe, and the Trading Post, which has a breakfast cafe, ice cream parlor, and deli/pizzeria. If you feel like a short drive, head over to Punta Gorda for excellent shopping and dining. For those with adventure on your list, enjoy the short jaunts to Sanibel Island for shelling, J.N "Ding" Darling National Wildlife Refuge, and the beaches of Fort Myers and Englewood. Within minutes of arrival, you'll quickly realize that this superb condo has everything that is needed to have a fantastic vacation! - Watch manatees, dolphins, eagles and other wildlife from the private screened lanai, which features an outdoor dining table and stunning water views! - Situated within the fantastic Burnt Store Marina community, which offers an endless list of community amenities! Close to several beaches and area attractions! Impeccably furnished villa in the heart of paradise. Burnt Store Marina has everything you could want and is convenient to Pine Island and Punta Gorda. We docked our boat right in front of the villa, if you like to fish or boat this is where you need to be. The condo was spacious, neat and decorated very nicely. We enjoyed our stay at this property. Everything that we needed was there. We enjoyed the pool each day. The condo was very nice. We enjoyed sitting on the lanai and seeing the wildlife. It was so quiet, and the people we met were very friendly. It was also nice having a restaurant very near by. The condo was exquisite. fully furnished with all the extras.I had no needs for anything. Would definitely recommend this condo for longterm stay. Awesome place! Quiet, comfortable and relaxing. Lots to see and do in the area. Best view of the water on the property. Would definitely recommend. This was such a beautiful condo and extremely functional for my vacation! Right on the water and so relaxing to sit out on the screened in patio and watch for wildlife to come up in the marina. We saw a family of manatees just feet away from us! It was an exciting and memorable experience. If you're lucky you'll see and hear fish jumping in the water in the mornings. Punta Gorda is a charming little town with fun attractions for all ages! I will definitely be returning! Thankful for such a smooth and relaxing experience!